Prof. Dr. Thomas Efferth | GRK "Life Sciences - Life Writing"
Southwest German Association for Medicine (1991), the Willmar-Schwabe-Award of the German Society for Medicinal Plant Research (2006), and the CESAR Award for Translational Oncology (2011). He headed a research group for Pharmaceutical Biology at DKFZ (2005-2009) and was associate professor (apl) at the University of Heidelberg (2007-2009). 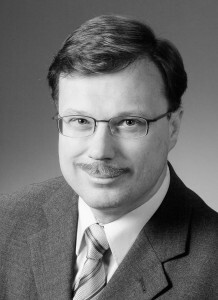 In 2009, he took over the Chair of Pharmaceutical Biology (full professorship) at the Johannes Gutenberg University, Mainz. Furthermore, he is honorary professor at the Northeast Forestry University, Harbin, China and visiting professor at the Zhejiang Chinese Medical University, Hangzhou, China. Thomas Efferth has published over 350 PubMed-listed papers and in peer-reviewed journals in the field of cancer research, pharmacology, and natural products (Hirsch-factor: 43; citation rate: >6600) and a textbook on Molecular Pharmacology and Toxicology (Springer Publisher; 2006). He holds four patents. He is editor-in-chief of “Medicinal and Aromatic Plants” as well as co-editor and editorial board member of 30 scientific journals and scientific advisory board member of the German Pharmaceutical Society and several other institutions. For further information, click here. deals with experiences at the boundaries of human life in the context of international and cross-cultural research approaches. The fascinating uniqueness of Research training Group is the attempt to expand scientific and medical research by the dimension of life-world experiences through aspects from life writing, ethics, philosophy, and others. The common goal is to create complementarity for the clinical point of view on the life-world dimensions of action and to open up the humanities and cultural studies in the sense of a greater action orientation to virtually given practices in research and care. This concept is unique in Germany. is to enlarge the facts-based view of the life sciences by the opportunities diverse disciplines of the humanities can offer. Existential experiences such as traumatic events or chronic illness often invoke crisis situations at the boundaries of human life. Negative, liminal experiences trigger serious crises in life and may cause persisting disorders, such as posttraumatic disorder (PTSD). None therapeutic intervention alone or in combination sustainably cures PTSD and novel approaches are required. Edge experiences influence the social life of patients and are not only in the focus of biomedicine, but also of the humanities and cultural studies. Genuine interdisciplinary collaborations between these disciplines are, however, rare. Looking at the representation of such crisis situations in forms of life writing, experiences at the boundaries of human life can be adequately described only through an interdisciplinary framework linking life sciences and the humanities. starts from a strong background in pharmacy and molecular biology and then focuses on original literature of traditional Chinese medicine (TCM) to analyse the Chinese philosophical concepts of trauma in a philosophical and ethical context and to compare them with corresponding concepts in European culture and western medicine. Having the theoretical and philosophical background in mind, we compare diagnostic and therapeutic methods for traumatic disorders and diseases from the East and the West. The body represents a "boundary concept" that reflects different conditions in relation to health and disease, even in a cross-cultural or context. Moreover, the body can be understood as a place where social expectations and cultural readings for the perception of human bodies meet. This perception can also be culturally conditioned. In the genre of Life Writing, therefore, basic assumptions of different medical cultures (e.g. TCM versus western medicine) can be brought into view to illustrate possible ways of dealing with experiences at the boundaries of human life in different cultural contexts. Selected reading on liminal experiences in Life science and life writing. 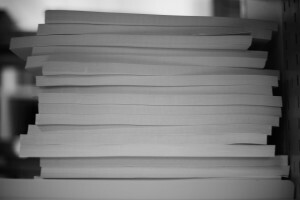 Bibliography (with abstracts and partly open access).